Newer. Better. 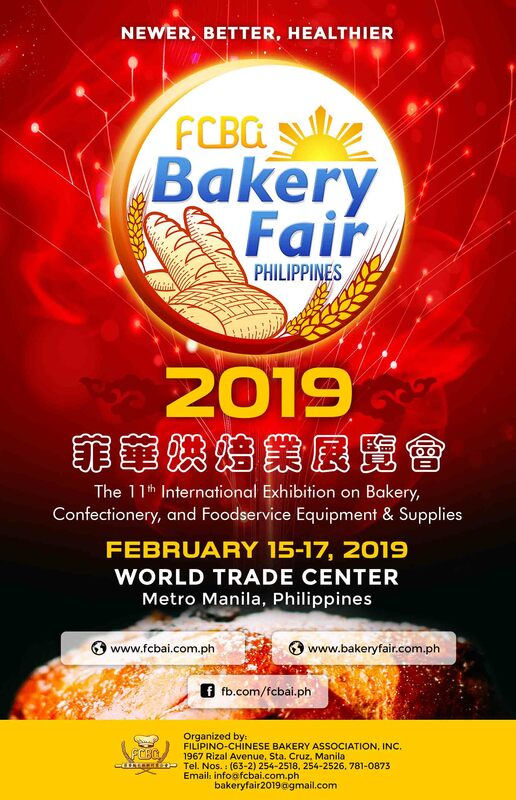 Healthier – Filipino-Chinese Bakery Association Inc.
Don’t Miss out on Bakery Fair 2019! The 11th International Exhibition on Bakery, Confectionery, and Foodservice Equipment & Supplies. Organized by the Filipino-Chinese Bakery Association, Inc., this event is dubbed: Newer. Better. Healthier! 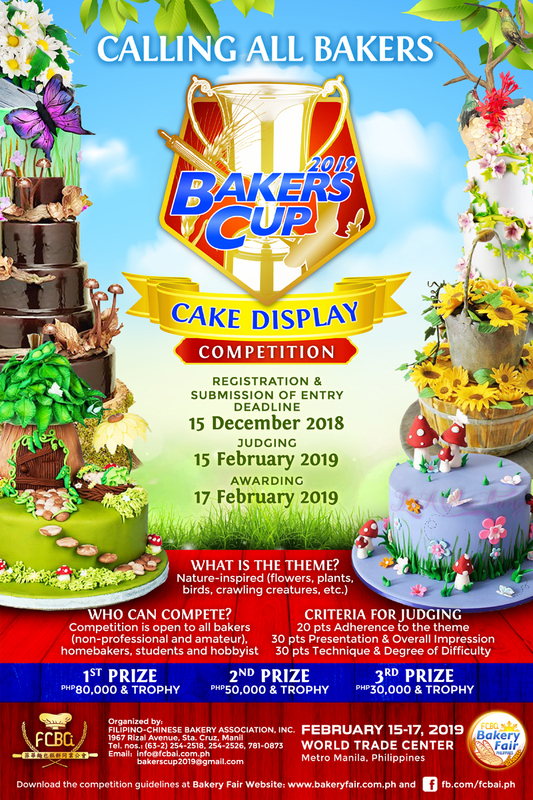 Be inspired by witnessing a world class showmanship of baking talents in Bakers Cup 2019 – Cake Decorating. Learn from our wide array of speakers and seminars. With over 150 exhibitors participating, join us in this exciting event! Bakery Fair 2019 opens daily from 10:00 A.M. to 7:00 p.m. from February 15-17, 2019. The Exhibition is strictly open to Business Professional and Trade Visitors only. All visitors must be in proper business attire or in smart casual attire. Visitors wearing slippers, shorts, sleeveless undershirt will not be allowed to enter. For safety reasons, children under the age of 12 will not be admitted inside the exhibition hall. The Organizer reserves the right to remove or refuse admission to any person without according a reason. Pre-registration at www.bakeryfair.com.ph with confirmation notice from the Event Organizer and valid ID shall entitle visitors to free admission to the exhibition, otherwise an entance fee of Php100.00 shall be charged per person. Enjoy a lively Mix of Dynamic Seminars from Premier Companies in the Baking Industry Admission to the seminar is free! With over 150 exhibitors, Bakery Fair has been tagged: Newer, Better, Healthier! Here are some of the exhibitors participating in Bakery Fair 2019. Be Counted! Don’t Be Left Out!